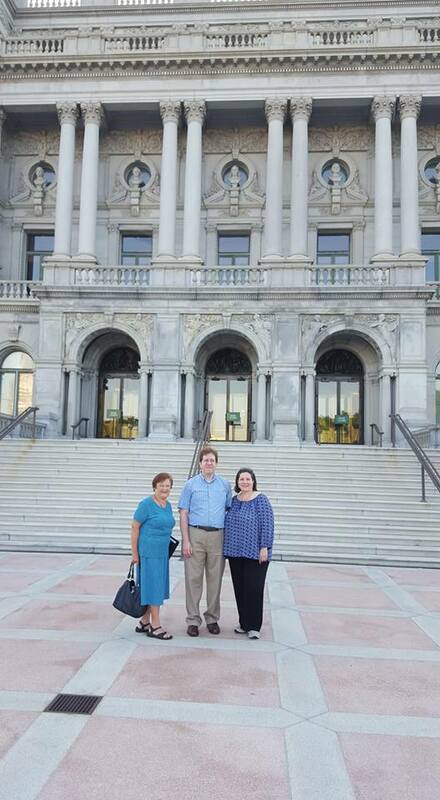 The Center's director Natalia Honcharenko, librarian Larissa Bulya, and archivist Michael Andrec attended the annual meeting of the Ukrainian Heritage Consortium of North America in Washington, DC on September 18-20, 2015. The Consortium is an informal association of Ukrainian cultural heritage institutions, museums, and archives, and includes as members the Ukrainian Historical and Educational Center of NJ, the Ukrainian museums in Chicago, Cleveland, Detroit, and New York, as well as the Harvard Ukrainian Research Institute, the Shevchenko Scientific Society, the Ukrainian Academy of Arts and Sciences in the US, and the Ukrainian Rochester Collection. The organizer this year was Jurij Dobczansky, a cataloging specialist at the Library of Congress. 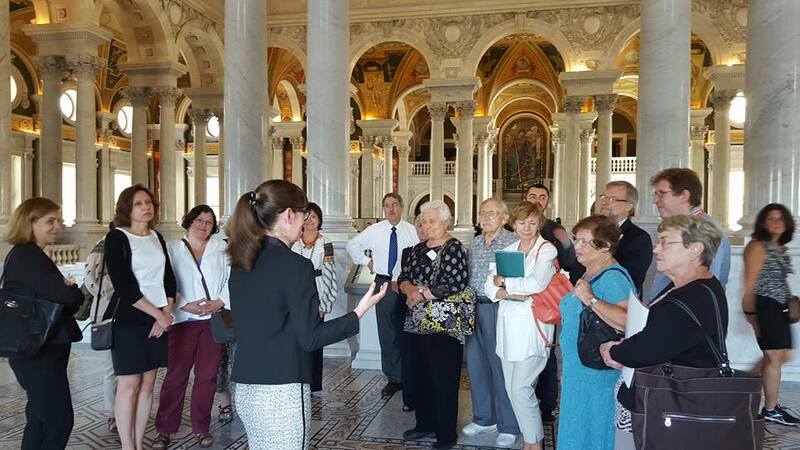 The first day of the conference took place at the architecturally stunning Jefferson Building of the Library of Congress, and included a very interesting and informative series of talks. Among them were presentations by staff members of the United States Holocaust Memorial Museum (which is significantly increasing its outreach to non-Jewish survivors of Nazi persecution and their descendants), the American Folklife Center, the Library of Congress Prints and Photographs Division, and a talk about copyright law for cultural institutions by U.S Copyright Office representative Larisa Pastuchiv-Martin. The day also included a brief appearance by Rep. Marcy Kaptur, the senior-ranking woman in the House of Representatives, and a strong supporter of ethnic cultural heritage organizations in her district in Ohio and beyond. The remainder of the conference took place at the Ukrainian Catholic National Shrine of the Holy Family, and included reports on the activities of the member institutions, and a general sharing of ideas and discussions about opportunities for future collaboration. Thank you to Jurij and his co-organizers for an outstanding event!